Travel Prague fast and in style with City Bike Prague’s new E-bikes, and tackle Prague’s famously hilly landscape with the added assistance of a powerful, eco-friendly motor! But how fast is fast? 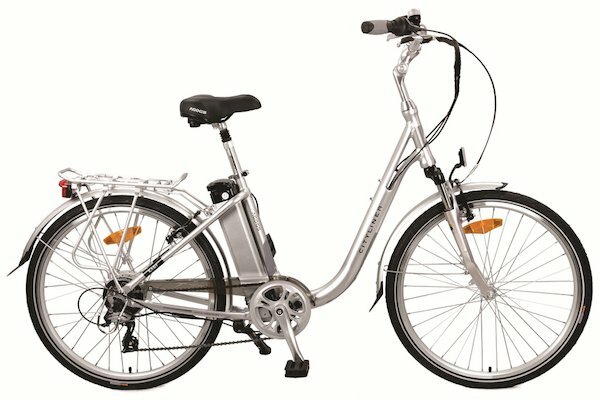 Our e-bikes bikes can average around 20 km/hour! Perfect for all ages and levels of fitness and easy to ride too! Whether you want to join one of our bike tours or just explore the city and countryside, our E-Bikes will make riding much easier for you. The powerful pedal assisted motor means you can ride faster, further and longer, allowing you can see more of Prague without getting so tired. Whether you want to join one of our bike tours or just explore the city and countryside , our E-Bikes will make riding much easier for YOU.